The Holiday’s can be one of the most amazing times of the year. It is time for family, friends, and of course everyone’s favorite, food. During these times it is easy to focus all of your attention to those around you, and less on yourself. We are all thinking “What gift can I get those closest to me”, but it is important to remember yourself at the same time. 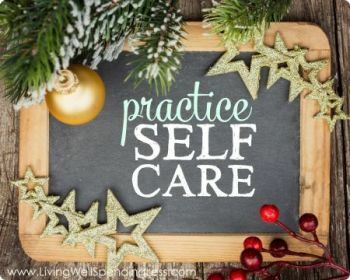 Everyone can use motivation to keep them on their health and wellness journey, but it is especially important during the holiday time. There are a ton of reasons and excuses for me to not come to workout everyday but these are some tips that I use to make sure I stay on my fitness routine. This is a time of year where friends and family are all around you. There are times where you will all be together wondering what to do, and a workout is something everyone will benefit from. This is the easiest way for you to stay on track because you will be held accountable. It can make the workouts more enjoyable. Set realistic goals so you don’t get discouraged. One of the main reasons people give up on their fitness goals is because they set their expectations way to high. If realistically you can only go to a gym twice a week, don’t tell yourself you will workout every day. Set your schedule, pre book your classes and make sure you get your two workouts in a week. Don’t schedule plans during “your workout days”, that way you will never have to choose between your health and wellness and someone else. During the holidays we go to all different kinds of parties, with every type of junk food you can think of. Trust me, we all deserve to indulge but the cliché is true; enjoy everything in moderation. NEVER go to a party hungry, plan your meals ahead of time so you can eat a healthy full balanced meal before you go to the party. Eat your meals before so you can enjoy the sweets and savory snacks at the party without binging out of hunger.